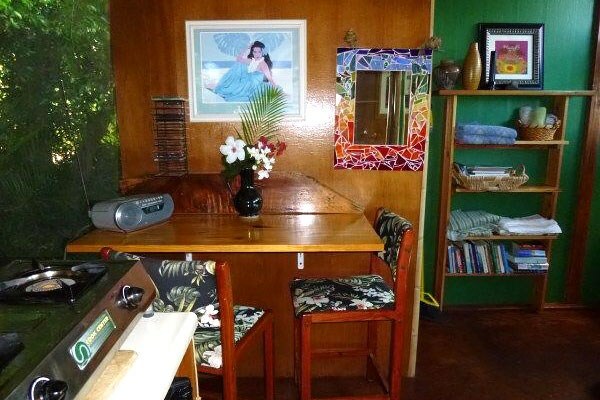 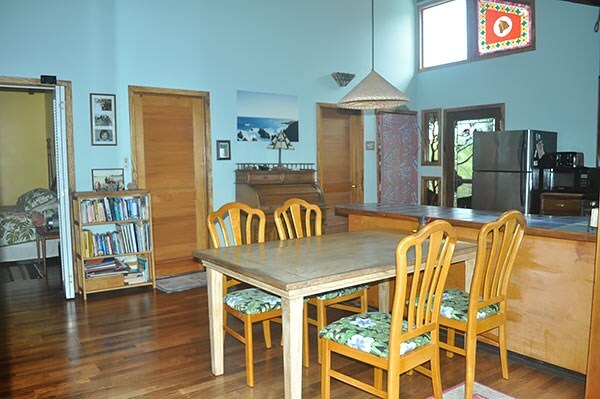 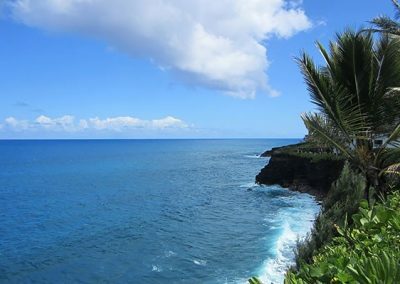 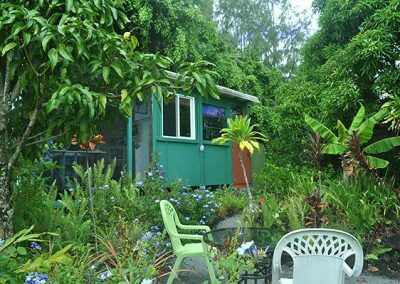 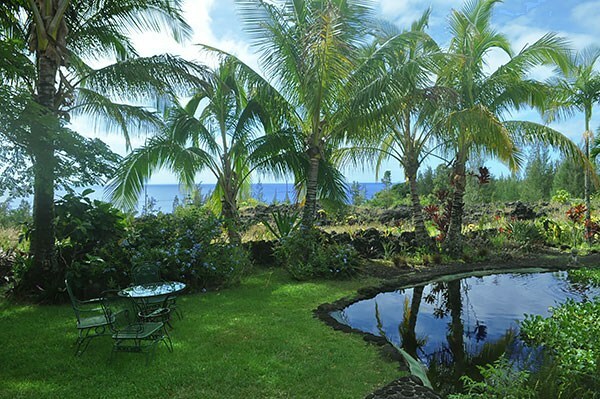 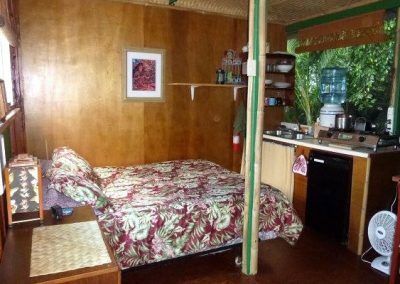 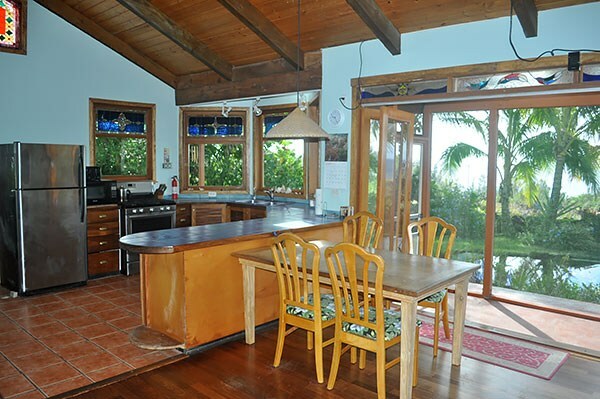 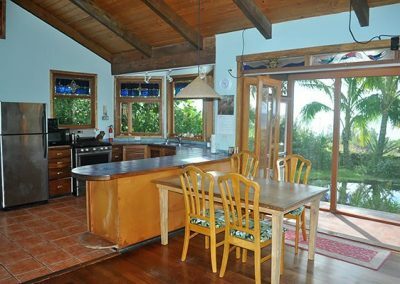 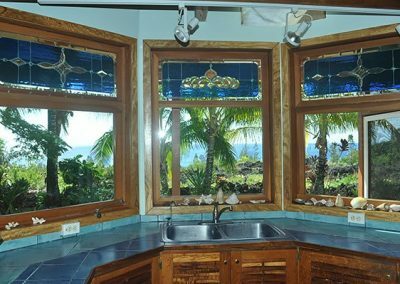 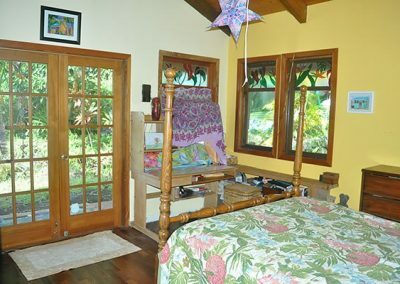 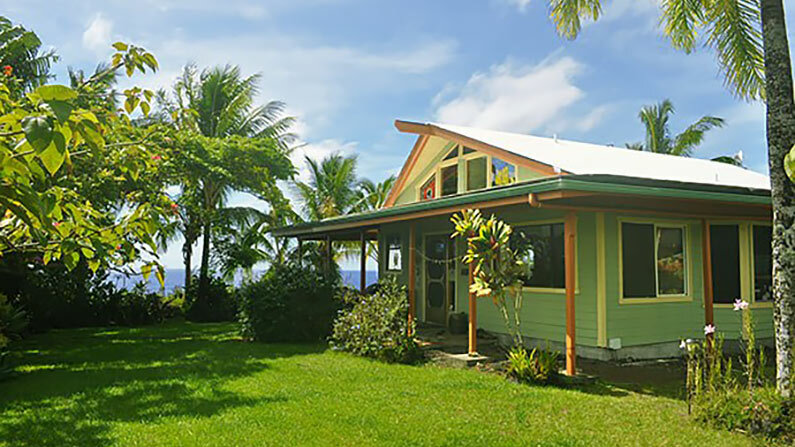 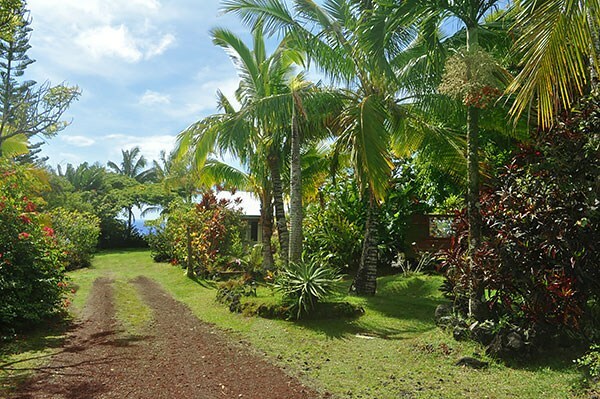 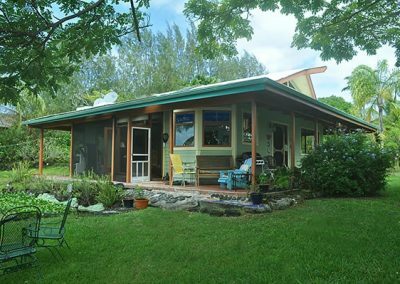 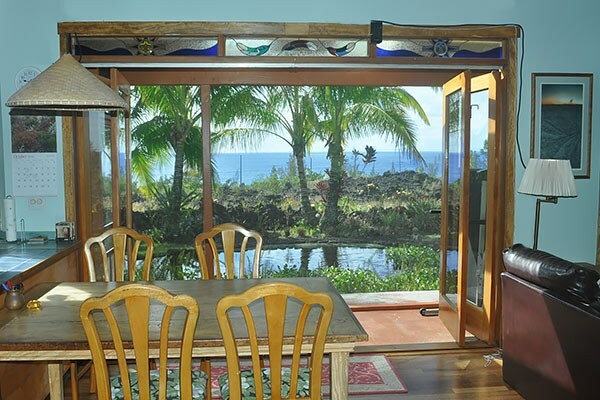 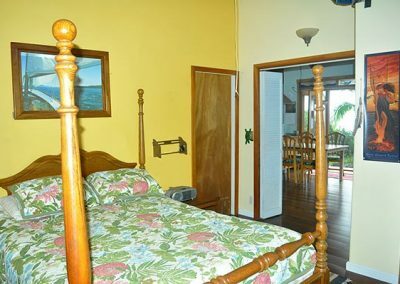 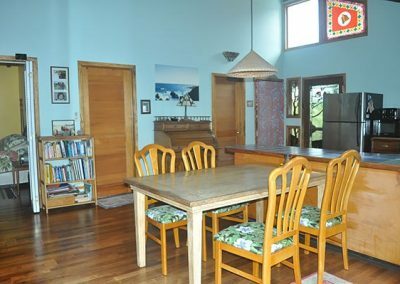 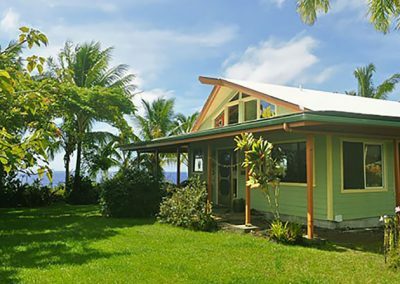 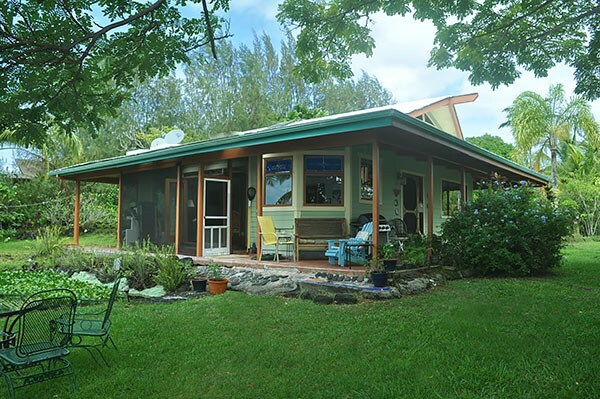 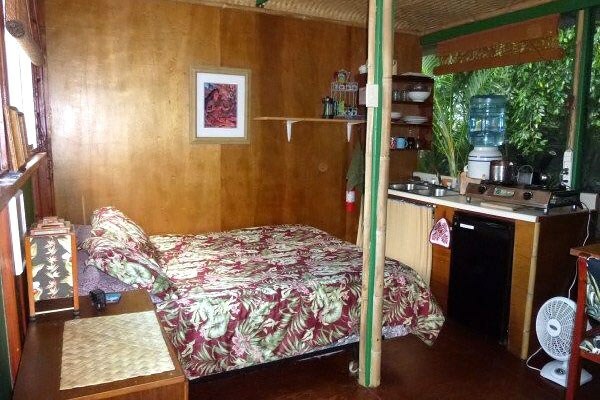 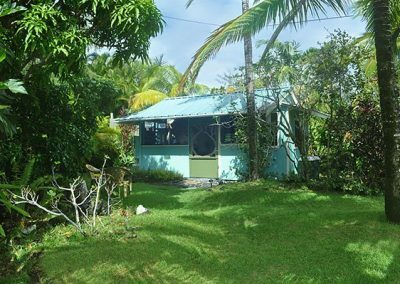 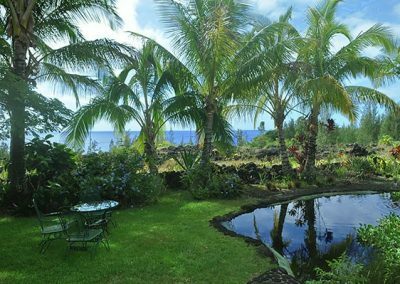 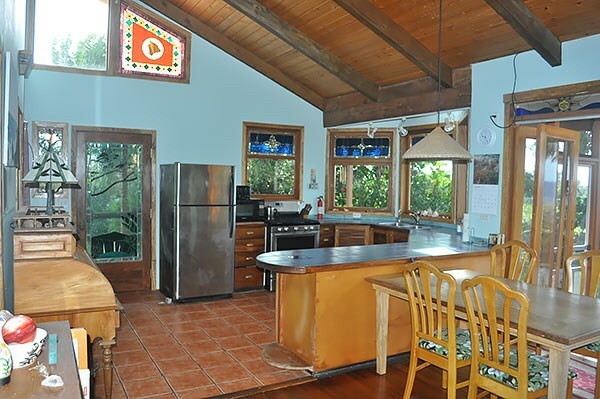 One of a kind custom built ocean view home located in the heart of the tropical Puna district in the coastal community of Puna Beach Palisades. 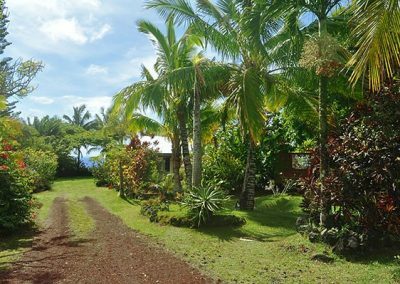 The minute you walk onto this peaceful property you will know an artist had a hand in creating this half acre of paradise. 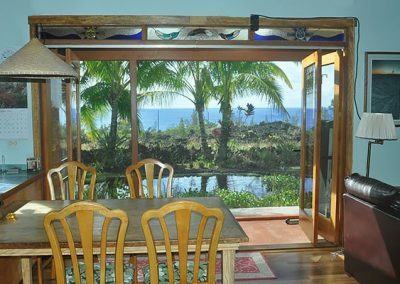 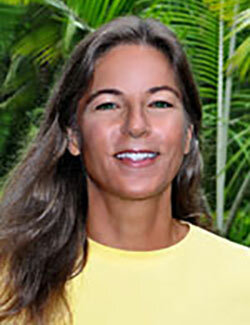 The house is perfectly set to take advantage of the spectacular Pacific Ocean view and serene morning sunrises. 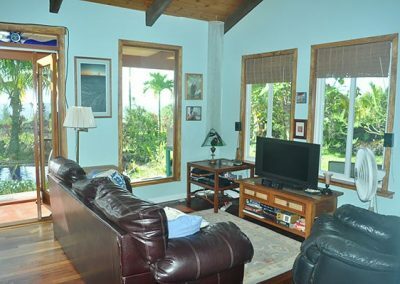 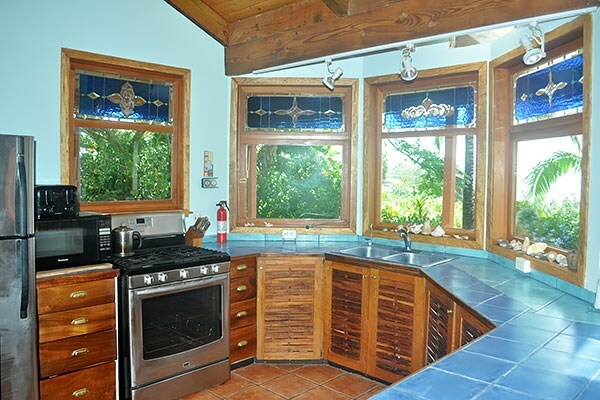 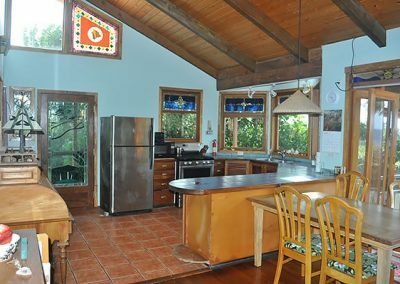 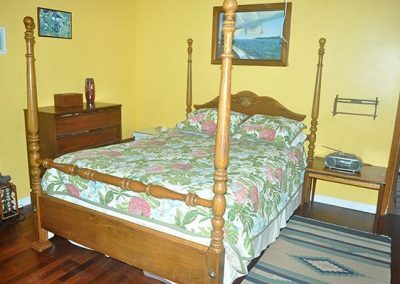 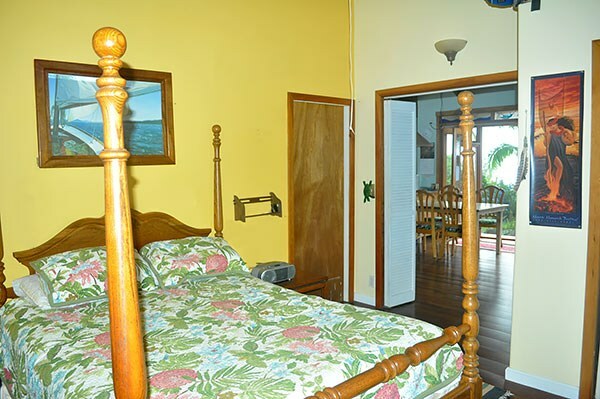 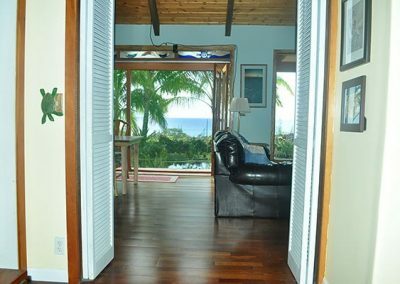 As you enter the home through the custom Koa wood and stained glass door you find yourself in an open kitchen with its Mango trim windows, Koa wood cabinets, stainless steel appliances, ceramic tile counter tops and floor and fantastic ocean view. 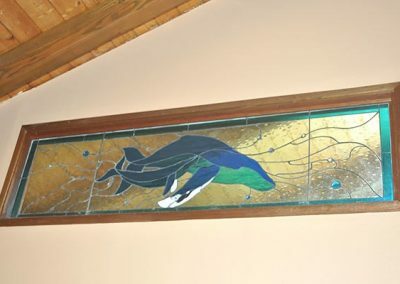 As you move into the dining/living area the artist touch continues with custom stain glass windows, beautiful hardwood floors, pine wood vaulted ceilings and the extra-large wood trimmed windows that showcase the outside koi pond, gardens and that fabulous view. 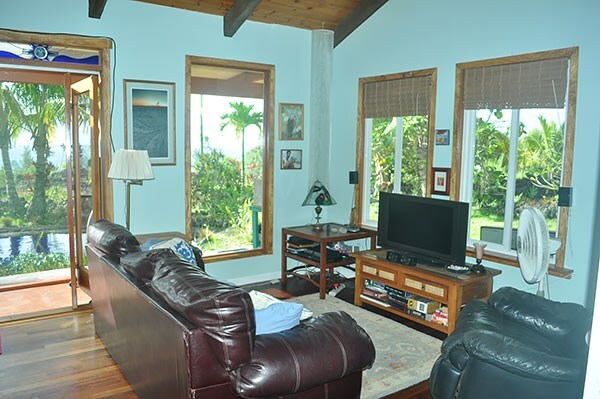 Outside the sliding glass doors is a large covered lanai area with plenty of room for a table, chairs, lounges and BBQ. 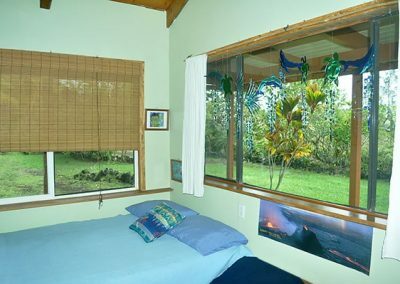 To the back side of the home the master bedroom continues the idea of letting in light and trade winds with lots of windows and large doors. 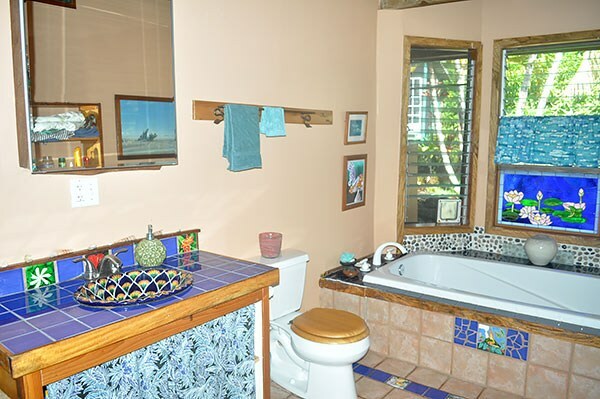 The wonderful bathroom, with its comfortable tub tucked into the bay window and custom built counter top with hand painted ceramic sink, is large and has plenty of storage. 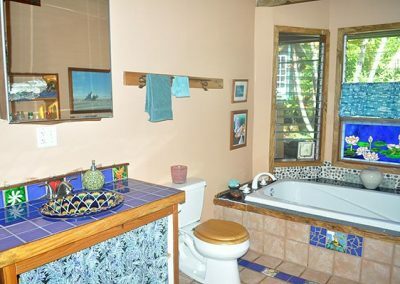 There is also a great outdoor shower. 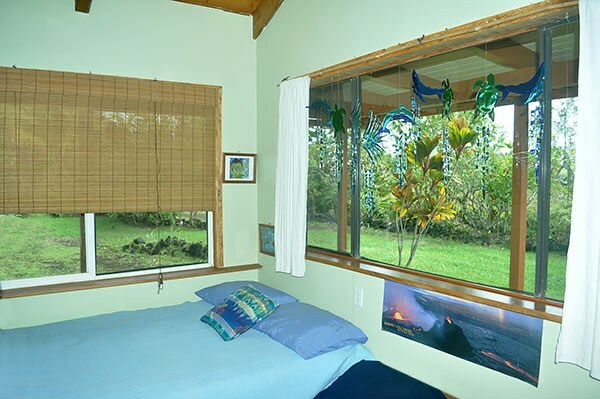 A second bedroom or office rounds out the indoor space. 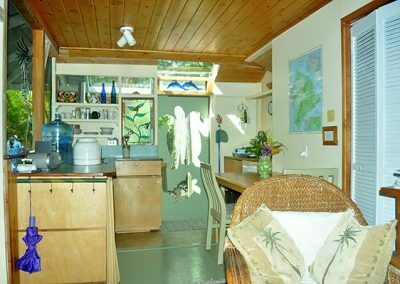 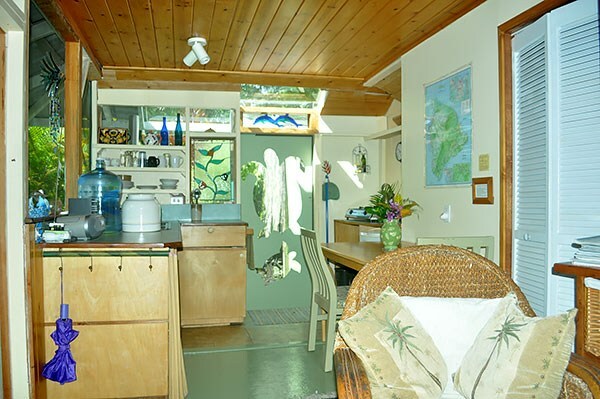 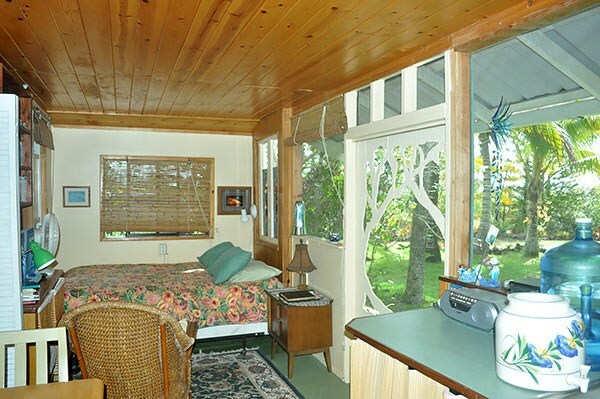 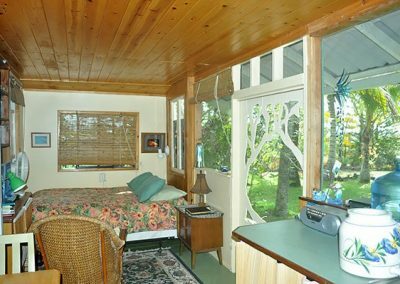 The property, which is walking distance to ocean access, has 2 additional self-sufficient studio cottages built with the same artist feel. 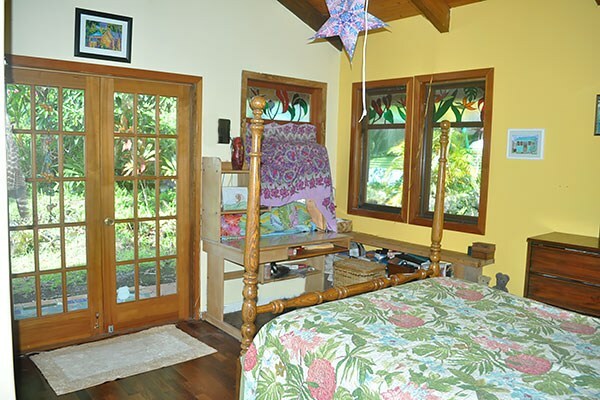 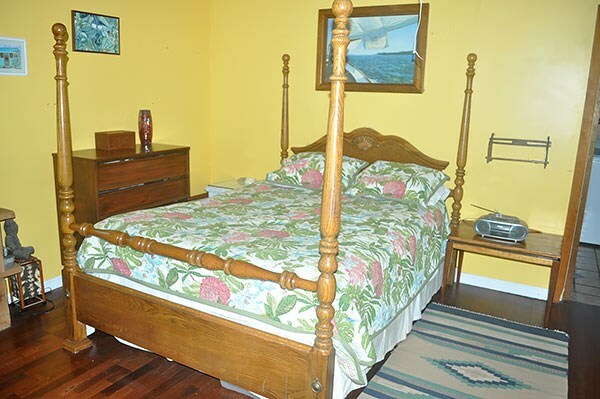 These can be used as offices, guest quarters or rentals. 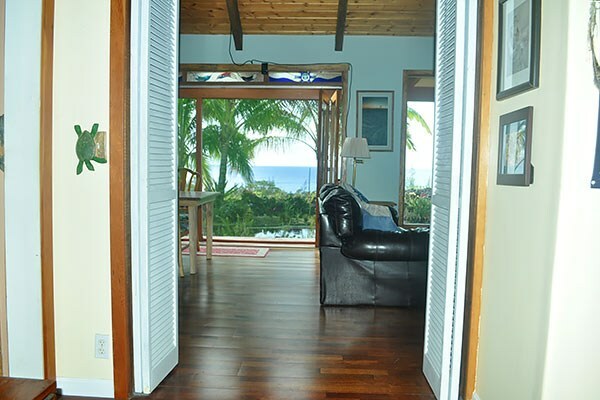 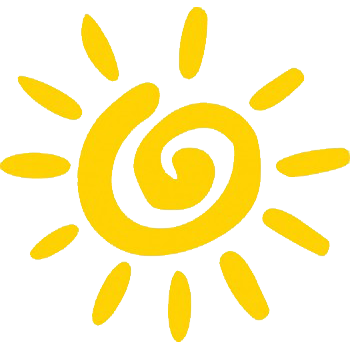 Both have been strategically placed to give all the structures on the property maximum privacy. 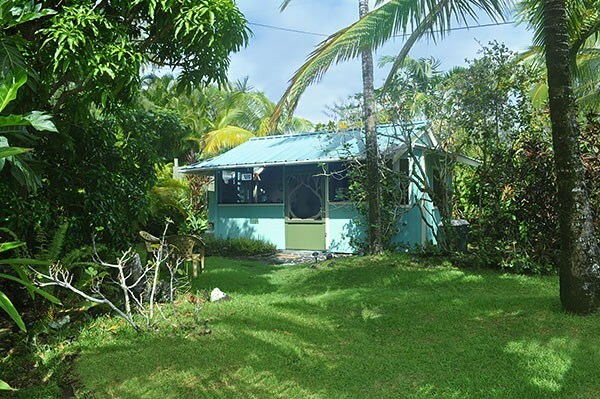 The property was landscaped using tropical foliage and fruit trees – Coconut Palms, Mango, Avocado, Breadfruit, Starfruit, Eggfruit, Citrus, Soursop and Banana trees. 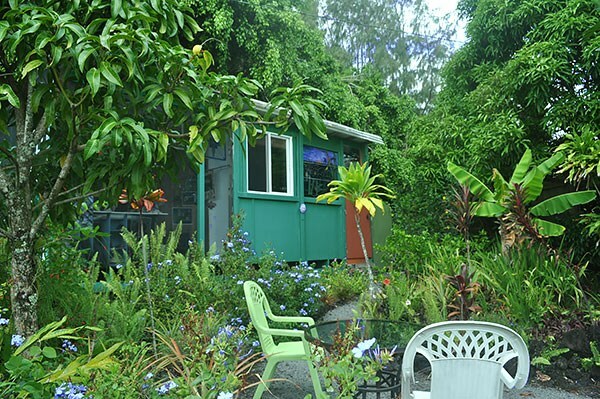 There are Pineapple, Orchid, Ti, Hibiscus, Bromeliad and more! 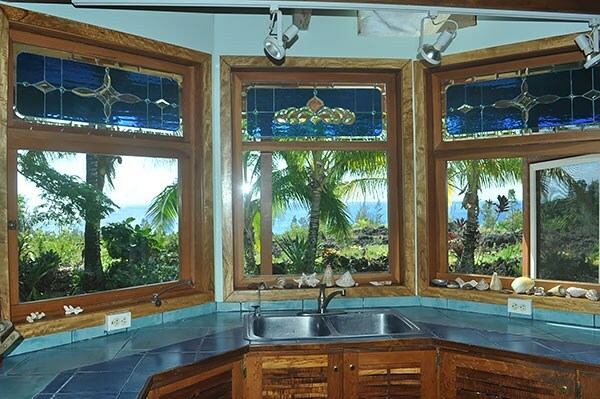 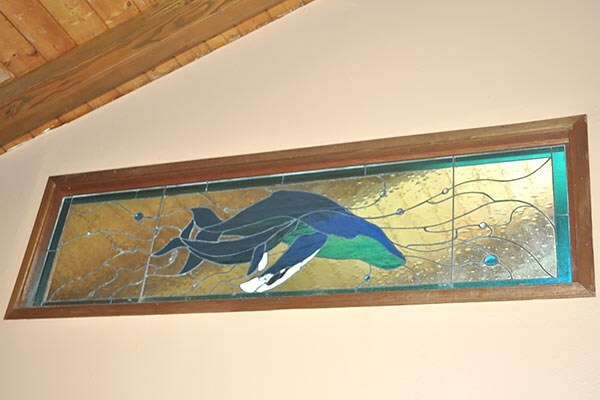 Over a dozen custom stain glass windows throughout the property.